by Kevin -- GM’s X bodies launched with much fanfare, including a Car of the Year award. However, they quickly gained notoriety for, um, not being very good. 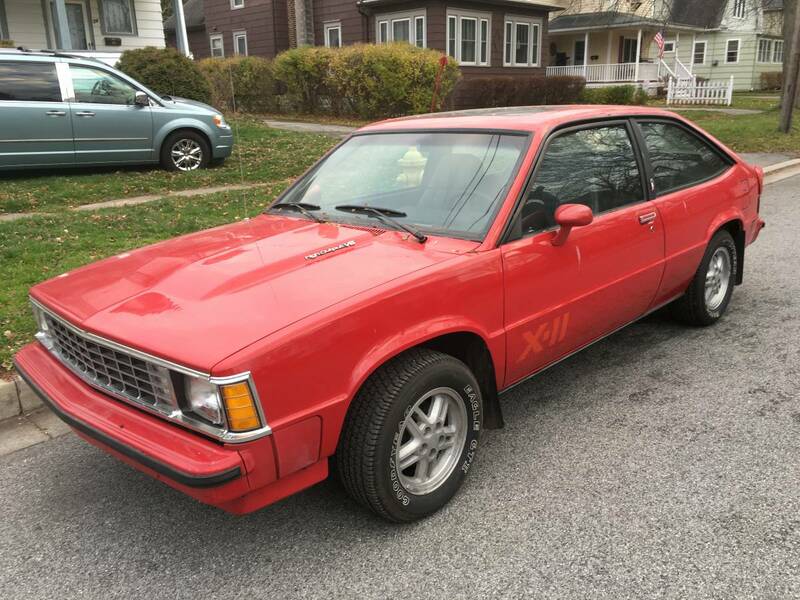 This 1981 Chevrolet Citation X-11 offered for $5,500 in Rochester, NY via craigslist may be one of the nicest remaining. The paint is in good condition for the year, although the plastic bits have aged differently from the metal ones. The bumper fillers are all present and the car comes with a sunroof and louvers on the rear glass. A picture of the engine is not included in the ad, but you should expect to find the high-output version of Chevy’s 2.8L V6. Rated at 135hp, it was only 5hp short of the 305 V8 offered in the Malibu that year. Paired with a 4 speed manual the X-11 could run to 60 in 8.5 seconds. Pretty quick for its time and still faster than some of the econoboxes on sale today. I’m looking at you Corolla! 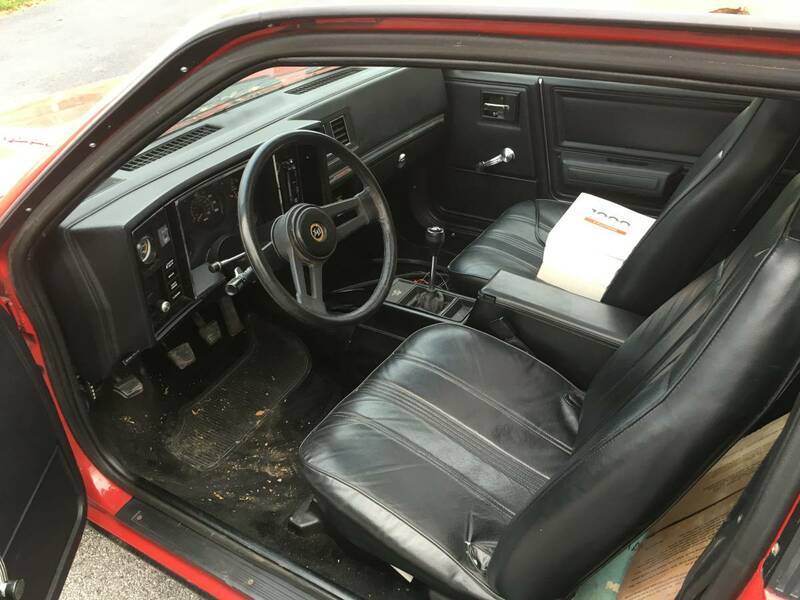 The interior is also in good shape and reflects the low mileage on the odometer. An aftermarket gauge above the light switch appears to be the only modification. A 7000 rpm tach with a 5500 rpm redline and an 85mph speedo are sad reminders of the way things used to be. A helping of dirt of unknown vintage is also included in the driver’s side foot well. 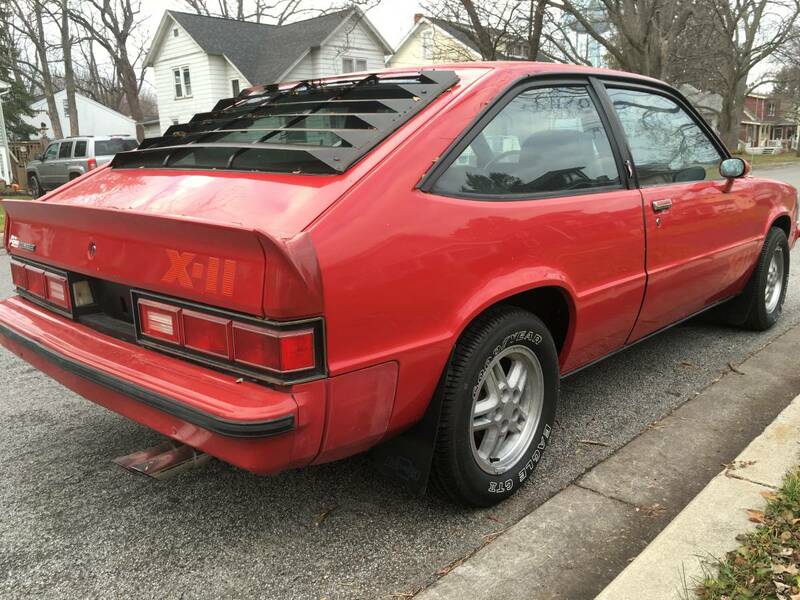 I've seen two Citations: one being the engine cradle and rear suspension of an '86 Fiero GT V6, and the other being my Dad's company car from Proctor & Gamble in the 80's. That Citation ran long enough for my Dad to drive it from Braintree to our house. Then it refused to start and spent the next 2 years on flat tires at the end of our cul de sac. i have a citation x11 for sale, bit of project but not 5500 either... only 1600 ! This was the generation of X-11 that John Heinricy at GM set up specifically to be a competitive Showroom Stock car. Fiberglas hood, subframe braces, an extra 25HP out of the 2.8, etc. And for their time they weren't a bad car to drive, and as noted above it's a car with some history. Usual GM glitches. 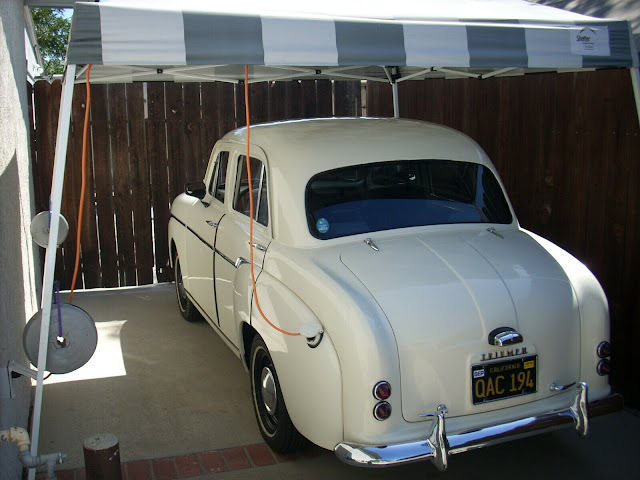 If I had a whole lot of garage space it'd be a fun car to own. But...California. The extension of smog-freedom past '75 just FAILED in the Legislature. Yes, our ecofascists wouldn't let us have FIVE MORE YEARS. Can someone find me another state with comparable weather, racetracks, and general-aviation airports? Thanks. I have been going to most races at Lime Rock for 40+ years. Having seen many great races and racers, one goofy memory I have is of a showroom stock class SCCA race. There was one X11 Citation and nothing could catch it in the straights, but corners brought horrific under steer, billowing smoke and shrieking howl all to much applause. He only finished about half the race because it blew a tire. Lime Rock is 1.5 miles long. He could not have traveled many miles before the tire went. The driver had a great sense of humor and later on in the pits he had a for sale sign on it. Something like, "Low miles, runs good, needs tires." After a couple of beers he was pretty open about declaring it a POS.